This case study addresses the use of the “anchored instruction approach” to restructure educational computing courses to enhance future teachers' learning of technology applications in the classroom. A cohort group of 22 preservice teachers from a typical teacher education institution in Southeastern Ohio was involved in the study. The preservice teachers were enrolled in both a curriculum development class and an educational computing class in the winter 2000 academic quarter. The instructors for both courses collaborated their teaching efforts whereby the preservice teachers used the educational computing class to research, record, and document their experiences in the curriculum development class. The theme of the curriculum development class was therefore used as an “anchor” for the educational computing class. Data collection and analysis were conducted on a continuous basis throughout the academic quarter. The findings indicate the effectiveness of anchored instruction for preservice teachers to learn about, and teach with advanced technology tools in their future practice. The authors recommend increased efforts to apply anchored instruction approach in educational computing courses. Kariuki, M. & Duran, M. (2004). Using Anchored Instruction to Teach Preservice Teachers to Integrate Technology in the Curriculum. 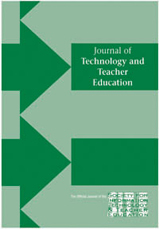 Journal of Technology and Teacher Education, 12 (3), 431-445. Norfolk, VA: Society for Information Technology & Teacher Education. Retrieved April 20, 2019 from https://www.learntechlib.org/primary/p/11462/. Ferguson, D. (2001) Anchored instruction using webquests in apos t-baccalaureate teacher education course. In J. Price, D. Willis, N. Davis, & J.